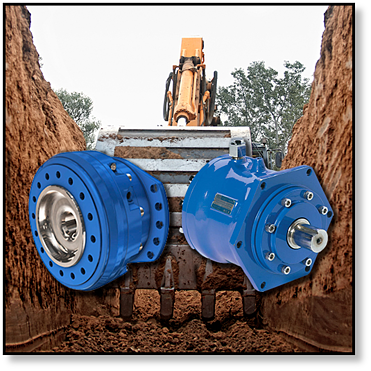 Hydraulic motors are a main component of final drives and are key to any industry that requires a great deal of torque, including construction, forestry, and mining. In this blog post, we are going to explain the difference between radial piston hydraulic motors and axial piston hydraulic motors. Hydraulic motors are one of the most important components in a hydrostatic power transmission system as they convert hydraulic energy into useful mechanical energy in the form of rotational motion and torque. When well designed, they are powerful, efficient, and compact. There are three basic kinds of hydraulic motors in use: piston, gear, and vane. 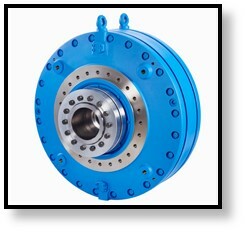 Final drives and hydraulic motors used in construction are usually of the piston variety, and of these the most common are radial piston motors and axial piston motors. Radial piston motors are low-speed high-torque (LSHT) motors and can generate much more torque than axial piston motors and do not require a gear-box to act as a speed reducer. 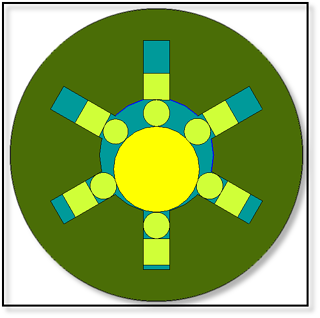 In a radial piston motor, you will find the pistons (sometimes called plungers) arranged perpendicular to the axis of the crankshaft in a star-like configuration. All pistons lie in the same plane, and as the pistons move linearly their motion is converted to rotary motion by an eccentric shaft. Axial piston motors don’t generate the same level of torque that radial piston motors do, but they are far cheaper and smaller (a 5-hp axial piston motor is about the size of a soda pop can). In an axial piston motor the pistons will be found arranged in a circular pattern in some type of housing (often called a cylinder block) that rotates about its axis by a shaft. That shaft is aligned with the pistons, and the pistons are all parallel to one other. There are two different axial piston motor designs. The first is the swashplate design where the pistons and drive shaft are parallel. The second is the bent-axis design, where the pistons are arranged at some angle to the main drive shaft. In this design, the up and down motion of the pistons is converted to rotary motion through a ball joint. The speed range of the radial piston motor is very limited compared to the axial piston motor, but it offers significantly more torque. 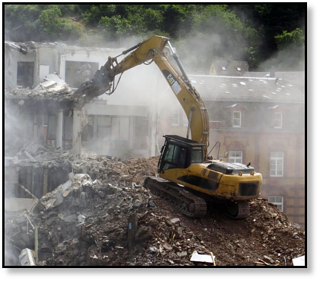 This explains why you see radial piston motors used on more powerful construction equipment like full-size excavators and backhoes while axial piston motors are commonly seen on skid-steers, mini-excavators, and compact track loaders. In short, the two main types of hydraulic motors you see used with heavy equipment are radial and axial piston motors. The radial piston motors offer much more torque but not as much speed as the axial piston motors. 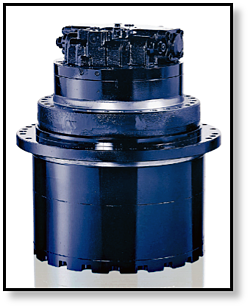 For even more valuable information on hydraulic motors get free copy of the Eaton Excavator Final Drive Motors Cheat Sheet from Texas Final Drive.